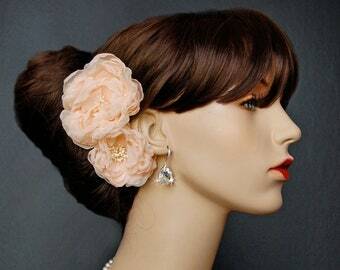 These wedding hair flowers are a versatile accessory. 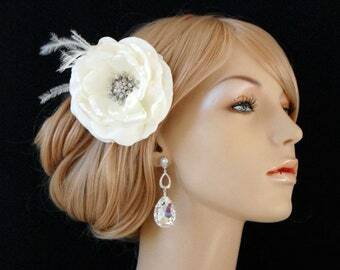 Completely hand made, each soft off white colored chiffon flower petal is carefully hand cut and shaped. 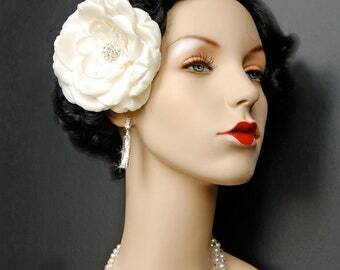 Off white millinery stamen create the perfect natural center pieces. Flowers are separate and have an alligator clip with teeth. 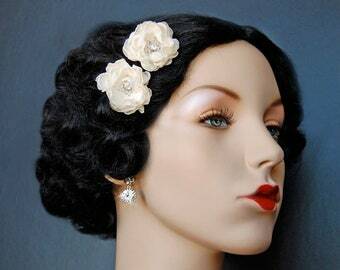 Easily clipped to a satin sash for a pop of texture around the waist as well as in the hair for a glamorous vintage inspired look! 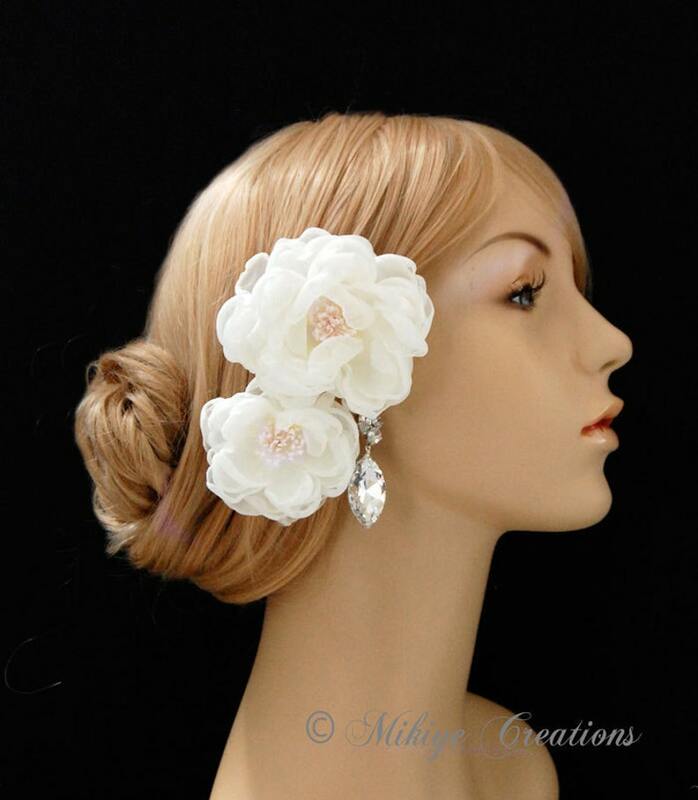 An alligator clip with teeth secures the flowers at any angle in any hair type as well as on any clothing. Flower bases lay completely flat against the head. Wear one at a time or both together! Smaller flower approximately 2.5 inches wide. Larger flower approximately 3.5 inches wide. 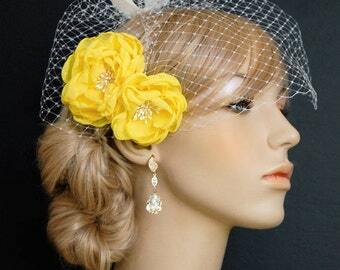 *Pic 4, 5, 6 are ivory chiffon.